Many tattooists avoid coverup work, feeling that they do their best work on clean skin, but a lot of clients who are seeking coverup work are also transitioning from collecting small tattoos to becoming serious tattoo collectors, and the artists willing to help them with their unwanted work are also likely to get lots of clean skin from them as well- so by taking on coverups you can greatly expand your client base and your career. 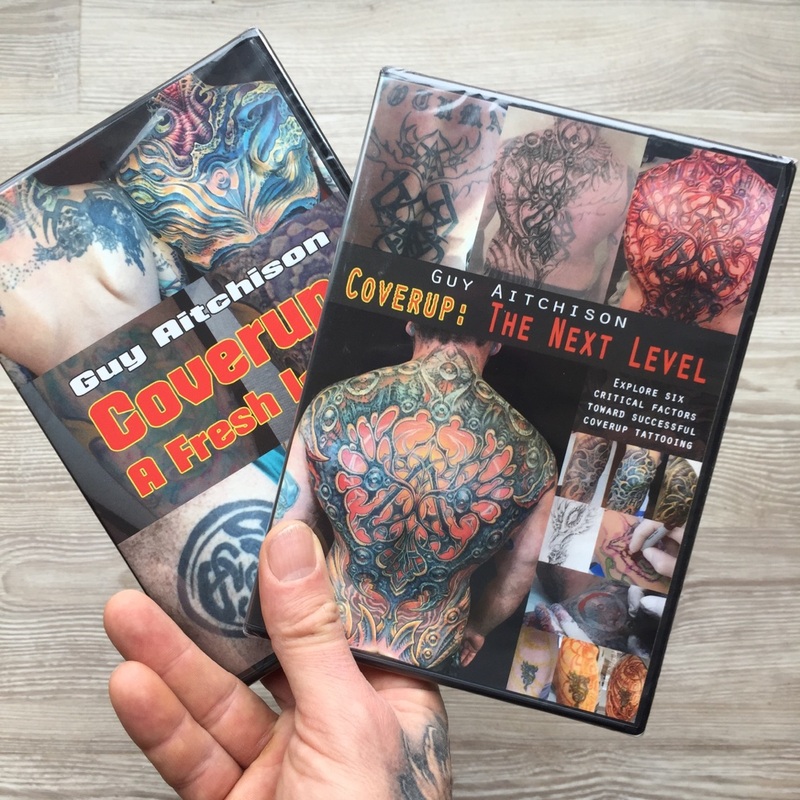 Noted tattooist Guy Aitchison has been doing coverup work for most of his 30 years in the trade, and shares what he knows about the subject in two DVD tutorials, Coverup: A Fresh Look and Coverup: The Next Level, showing an artist's eye view of the coverup process from consultation to completion, guiding artists past the common coverup pitfalls and showing healed and settled results for many kinds of coverup projects, including work by guest artists in a variety of different styles. These two seminars are now bundled together in a comprehensive educational package that will help gain you coverup superpowers- and in the process, a whole new scope of clientele including those seeking larger scale work.